Amazon Web Services (AWS), the public-cloud division, may soon become a billion-dollar-a-year business. But its economic impact is much bigger and wider than most think. It is crucial to the startup revolution that is sweeping the planet. 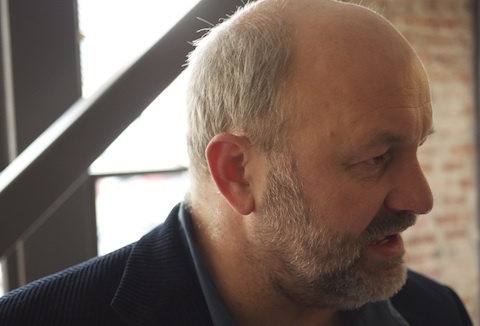 Or as Amazon CTO Werner Vogels says, with AWS all you need is an idea, a credit card and a dream. In order to push that philosophy, Amazon holds an annual contest, the AWS Start-Up Challenge, which is now back for its fifth year. The annual Amazon Web Services (AWS) Start-up Challenge is back with an expanded worldwide footprint! This annual contest, launched in 2007, is a way for promising start-ups to get noticed and compete for an opportunity to win up to $100,000 in cash and AWS credits. This year, we will select 15 regional semi-finalists: 5 each from the Americas, Asia Pacific (including Japan), and EMEA (Europe, Middle East & Africa), respectively, who will each receive $2,500 in AWS credits. From these, we will select a minimum of 6 finalists to be awarded a package of $10,000 in AWS credits and a trip to Palo Alto, California, to attend the final round of judging. Previous winners include M-Dot Network, GoodData, Yieldex and Ooyala. Yeah, that’s right Mr. Vogels, keep on telling people to use their credit cards to go into debt to fund your AWS cloud! “… with AWS all you need is an idea, a credit card, a dream and a willingness to get locked in to a proprietary API!” What happens when the world changes and you want the option to move your “dream” machine to a different platform, a different infrastructure? Sorry, you can’t move your AWS dream machine, you’re stuck! Hats off to the great work AWS has been doing in this space, but longer term wouldn’t all entrepreneurs in this space be better off to have fluidity (OpenStack comes to mind). If I had a successful business built on AWS I would consider the migration cost a nice problem to have. I just moved an entire three-tier 10-node app cluster from EC2 to another cloud VPS & storage & CDN provider in less than four hours. The slowest part was waiting for our DNS to update. So either you are stupid or incompetent or lying. Five years and counting and I hope they continue to push this forward.